Enjoy beer in the winelands! Just because you’re in the winelands doesn’t mean you have to drink wine! 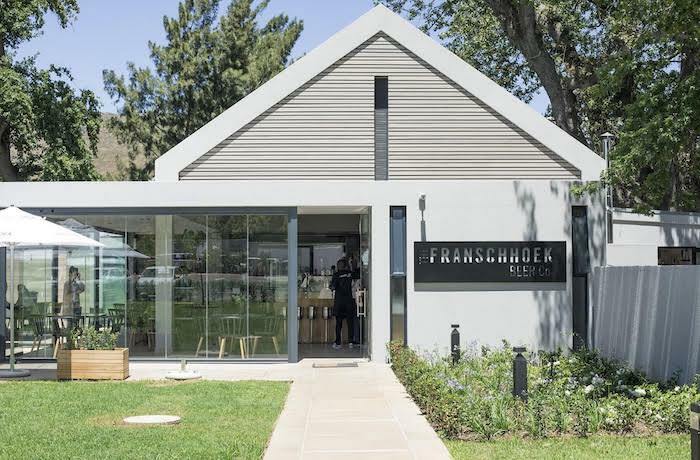 Located in the heart of the Cape winelands, the beautiful town of Franschhoek has a recent addition: Franschhoek Beer Co. brewery’s brand new restaurant, Tap | Eat! Surrounded by beautiful green grass and the most incredible oak trees, the restaurant gives beer-lovers a foodie experience to remember with quirky modern décor and views to die for. True to its name, Tap | Eat is of course, an ideal spot for beer-lovers looking for a spot to relax and enjoy a cold one in the Franschhoek winelands. While you’re there make sure you pair your beer with a delicious meal from the new restaurant. 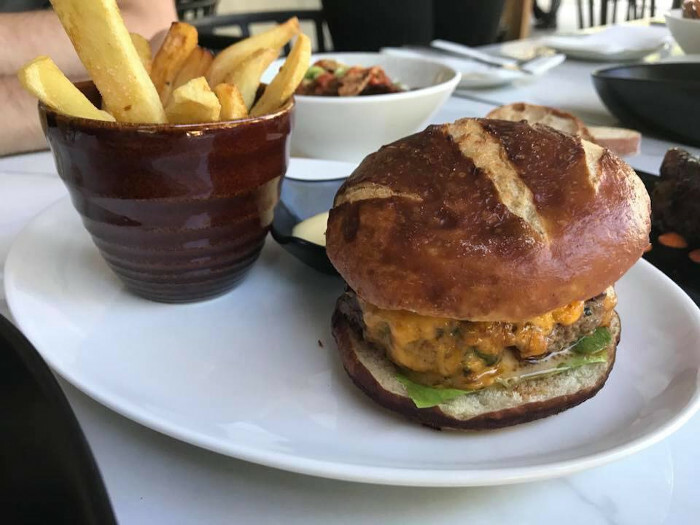 But this isn’t any old pub food – the menu at Tap | Eat is an inspired collaboration between Reuben Riffel and head chef Nick Oosthuizen and promises to leave foodies with something to write home about. 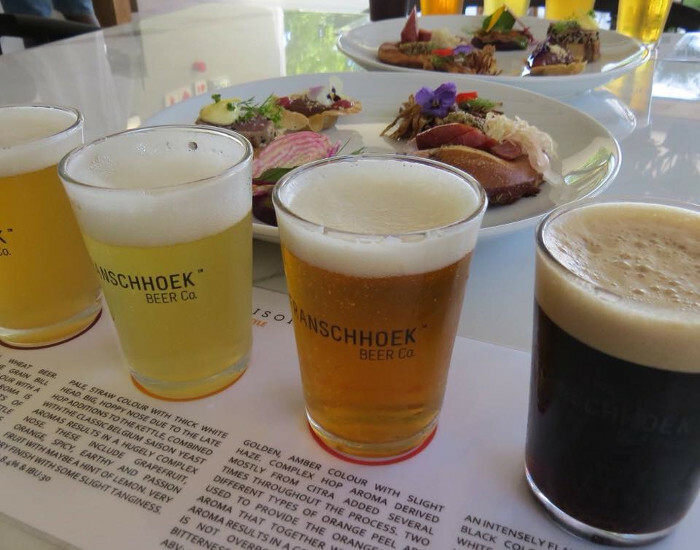 We love the sound of the Beer and Food Pairing which includes a selection of 6 delightful small plates to pair with your beer (R105 for any 3 choices or R205 for all 6). The pairing includes choices like Weissbier No5 paired with a pretzel and pork sausage and the Orange Pale Ale paired with sesame crusted fresh yellowfin tuna. If you’re looking for something a little more hearty, try the Beer Co Beef Burger (beef patty served with pickle, lettuce, tomato, Boerenkaas on a Weissbier No5 bun with fries – R120) or the BBQ Brisket (braised brisket, pepper glaze, carrot puree, patatas bravas, and onion rings – R95). For dessert, there’s a wide selection of sweets including churros (with espresso & stout ice cream, dark chocolate mousse, and coffee creme – R90) and Madiera cake (served with orange caramel and poppy seed ice cream – R90). Take a seat at the inside or outside seating area, or check out the indoor bar – the most memorable feature. With hints of solid oak timber, the space is warm and inviting, and the perfect spot to chill on a cold winter’s day. For more information on Tap | Eat and say Hi to The Franschhoek Beer Co on Facebook or visit their website. Note: The WomenStuff team is yet to review Tap | Eat. Look out for a review in our food section soon!